From time to time supporters of the race series take photographs of the runners. The latest photographs can be found below. 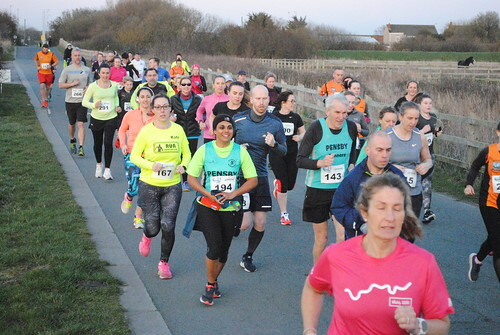 Thanks to Chris Morgan for the photographs of the March Race. The first Lady over the line over the line last at the first Seaside Run of 2019 was Ellen-Mary Kearney in a time of 18 mins 14 secs. Ellen currently holds our course record for the under 20 category. Here she is being presented with her prize from Nigel Crompton of the Runners Hub our Race Sponsor. Here we have the winner of the first Seaside Run of 2019, William Barr from UTS in a time of 16 mins 17secs which breaks his previous PB. Well Done brilliant running. Here he is being presented with his prize from Nigel Crompton from the Runners Hub our race Sponsor.